Stainless Drinkware There are 8 products. Whether the purpose is hydration or celebration, we’ve got you covered with customized, high-quality stainless steel drinkware from Sutter’s Mill Specialties. 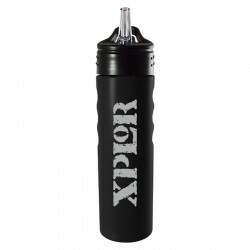 Hit the gym with one of our personalized water bottles or enjoy the tailgate or picnic with a custom-imprinted flask, koozie, or copper mug. With multiple styles and colors to choose from, you’re sure to find the perfect promotional drinkware item for your next marketing campaign here. 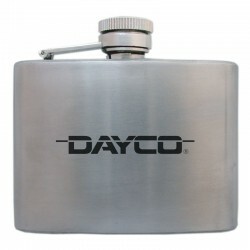 This personalized six-ounce flask is a vintage take on our popular old-fashioned flask. 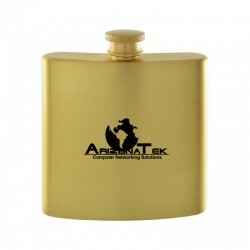 This customized, stainless steel flask was designed to fit easily in smaller purses and handbags, and uses a captive lid to protect against spills. 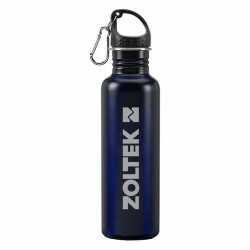 This tall stainless steel bottle has a large area for your company logo, a convenient loop handle cap, and multiple available colors. Perfect for hydration on the go! This version of our customized stainless steel water bottle has a strong carabiner clip attached to the rubber lid, so you can easily attach it to a bag or backpack. 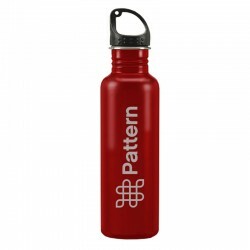 This stylish, stainless steel water bottle has a debossed hand grip and a sturdy, pull-up spout and straw. This cleverly-designed, personalized drinkware piece looks like an aluminum can, but is actually a stainless steel bottle with a pull-up straw for easy drinking. Now available at an incredible low price! 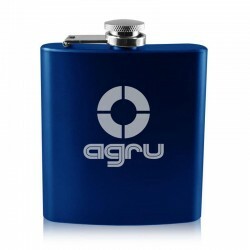 This classic flask has a cool, frost engraving style on a sleek, translucent matte finish, available in a variety of bold colors. 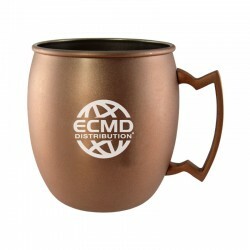 The 16-ounce Copper Mug is a must-have item for any kitchen or home bar. This classic piece of drinkware is stainless steel, copper-plated and features your logo in an eye-catching Carbon Etch Burnt style.